Pirouette Cacahouète introduces "my Marbles" ! 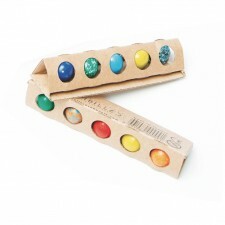 A colourful selection of 5 multi-coloured, golden and glittery Earth marbles packed in a cardboard stick. Ideal as a gift when playing "pass the parcel" and any other game at a birthday party. A selection of rare marbles to collect. Each stick contains 5 rare marbles made locally in France. Marbles go back to Ancient Greece, and is now today a well-known game in school playgrounds and by children. The Pirouette Cacahouète team had fun selecting some of the many French rules of existing games. This document is free to download, and can be found below. 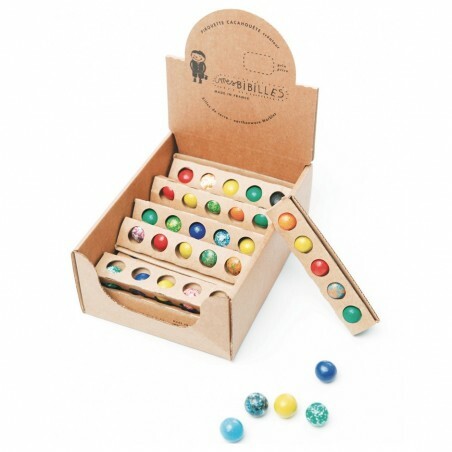 It's time for a boisterous game of marbles ! Different game rules to play in the playground with friends !